Heyo! Welcome back to another post. It just occurred to me that I’ve been using Revlon nail polish for a while, and I’ve been building up my collection–yet I haven’t done a review on them. So, today, I’m going to be sharing with you my thoughts on this nail polish. First things first, just look at these nail polish bottles! I am obsessed with their packaging. It’s sleek and shiny, and honestly, it’s really pretty to display in my room compared to other nail polish bottles. 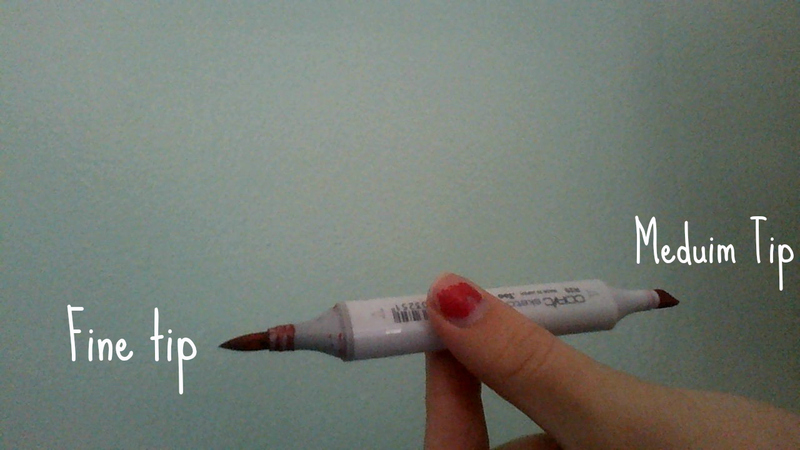 I also really like how the nail polish brush has a long cap so it’s easier to hold. A lot of nail polish bottles have really small nail polish brushes, so it’s harder to grip. These are the shades I have so far. I hope that over time I’ll be able to grow my collection even more! The shades I have, from left to right, are Diamond Texture, Graffiti, Coy, Bewitching, and Socialite. I couldn’t find some of the shades online, so I gave the links to colors that are similar. For some reason, little dots (they kind of looked like small bubbles) were appearing on the nail polish and it made my nails look like they have acne. Which, as you can guess, isn’t pretty! Maybe I just need to use a top coat & base coat. Would I buy more? Yes, I would. I really love Revlon nail polish, mostly because of their huge variety. Well, that’s a wrap! Thank you for reading, and I’ll catch you all in the next post. Step aside, OGX Hair Mist, because there’s a new kid on the block. I’ve found my hair holy grail. The OGX coconut milk anti-breakage serum! What a mouthful, huh? I don’t use a lot of products on my hair, I usually like to keep it natural. Up until I became obsessed with OGX, I just used coconut oil and Calia products. But–cue the dramatic music–everything has changed. I recently purchased the OGX coconut oil serum, and I love it more than the OGX mist! Both are similar, but I’ve only been using the serum for a week, and it’s already my favorite. I still love the mist, and I’ll still continue to use it, but the smell of the mist makes me feel nauseous sometimes. The serum is thicker, and I feel like it really does a better job of hydrating and making my hair silky. I just use a few drops after showering or when my ends are really dry. I would 100% reccomend this, it has made my hair so silky. What is your hair holy grail? If you’ve tried this product, I would love to know. Have a great day! I’ve found my hair holy grail. Isn’t it amazing when you find a product that’s perfect for your hair, smells amazing, and is super inexpensive? Well, folks, I found that product, and I’m obsessed. I mean, I might as well tell you to buy this and wish you a nice day, but since I like going in-depth with my reviews…let’s get into the post! This product is the OGX Nourishing Coconut Oil Hydrating Mist–holy whoa, what a mouthful. I have thick, long hair, and so I can’t use a lot of products–I’ve found that putting too many products in my hair weighs it down and dries out my scalp. Lately, thanks to the freezing winter air, my hair has been super dry and brittle–a.k.a. the two words that you never want to have to use to describe your hair. I went to the store in search of a hydration spray & voila! I found this. Note to self (and everyone reading this): Don’t use this on your hair unless it’s wet. I tried this when my hair was dry and it got super greasy. Make sure you spray a small amount on your ends & scalp right after showering. I feel like this mist really hydrates my hair. I definitely notice a difference when this is in my hair; it makes it more shiny & touchable, and smoother. You have to use a tiny amount of the spray, or your hair will become really greasy. The smell is heavenly, like I said above, but it’s also strong, and the coconut smell made me slightly nauseous. Have you tried this product or any other OGX products? I would love to know your thoughts if you have. Also, what’s your hair holy grail? Thank you for reading! Hello, welcome to today’s post! I know I just posted yesterday, but I wanted to share this with all of you! Let’s get right into it, shall we? 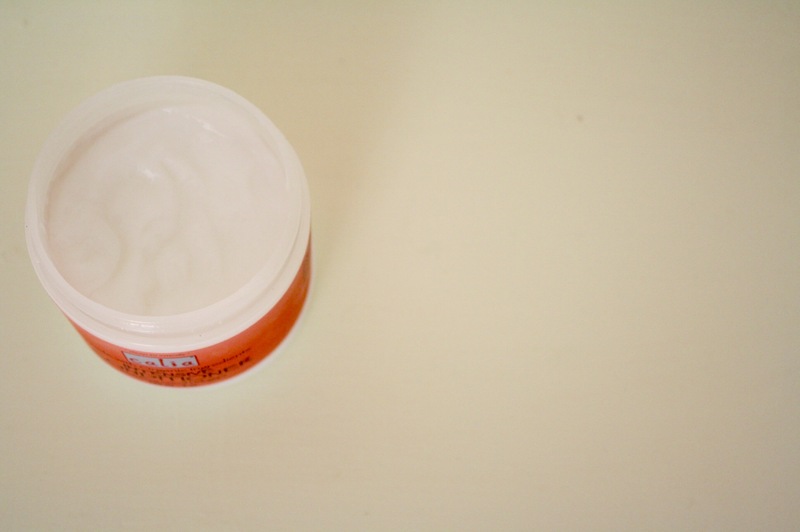 I received this mud mask for my birthday–check out the post here–, and it clearly lasts a long time, because I still have plenty left! I checked online to make sure that it was 100% mud from the dead sea, and not something fake. It’s said that mud from the dead sea has great benefits for your skin, which is why I wanted to try it so much. The mask is smooth and hardens without “tightening” my skin. It doesn’t burn my sensitive skin like many masks do. I feel like it really does a good job of cleaning out my pores! Although I feel like it really cleans my pores, that’s honestly all I can say about it. It claims that it helps with acne. I’ve been using it for months at this point, once a week, yet I feel like it hasn’t actually helped my pimples! It doesn’t come off very easily, it takes a lot of scrubbing. Nonetheless, this mask is affordable and does a great job of cleaning your skin! Here’s the link if you would like to check it out. If you do, let me know your thoughts on it! Also, if you have any good masks that you would recommend, let me know! Hello! 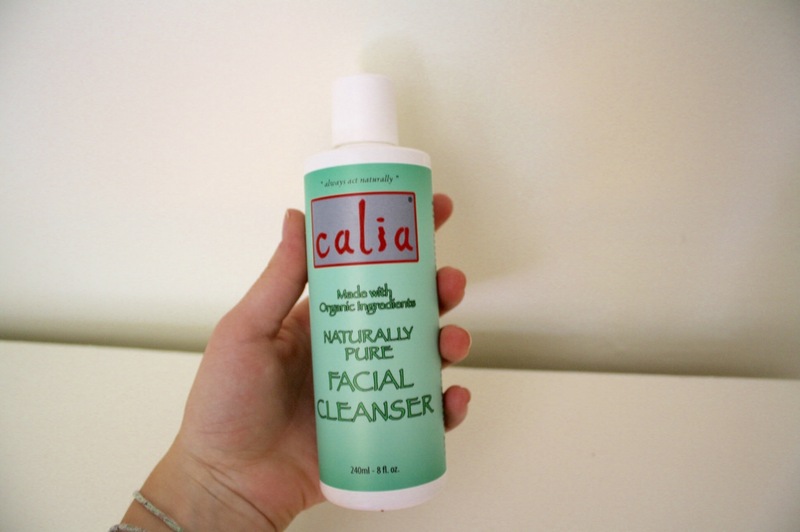 Recently I had the opportunity to try out a few products from a company called Calia. 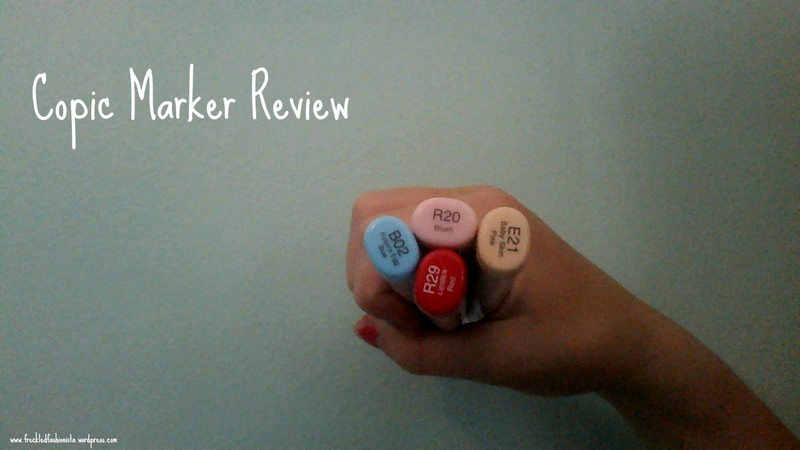 I was introduced to their company through Sarah Nagel’s videos, and I fell in love right away! 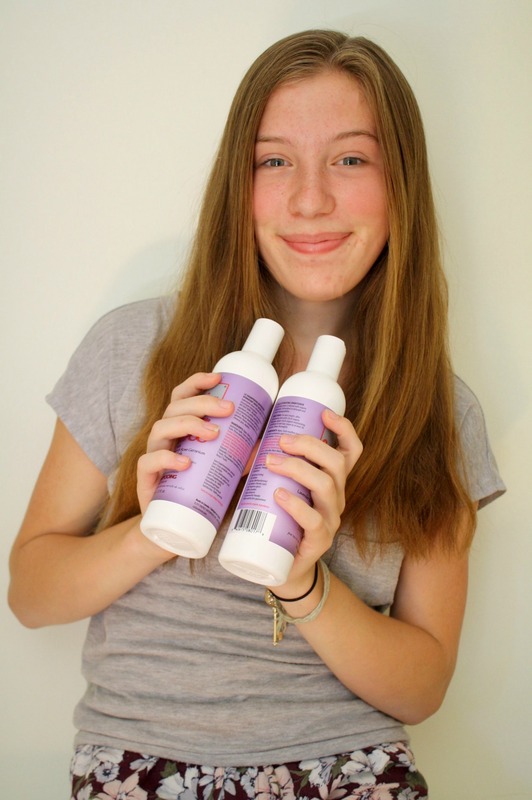 Calia has hair and skin care products, as well as essential oils! They have a wide range of products from cleansers to toners, to shampoo and lotion. I got sent a box full of goodies, and today I’m going to tell you about each of the products that I received, and let you know what I think about them! First, let’s talk about the shampoo and conditioner. 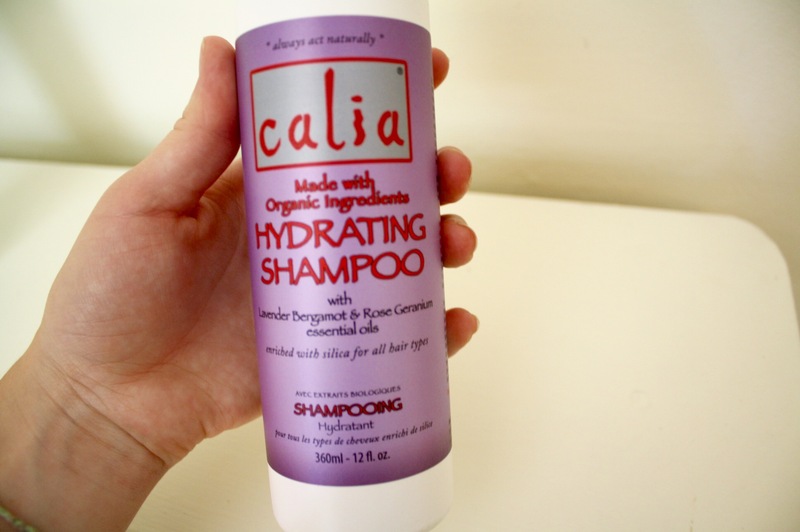 Calia has a few different shampoos and conditioners on their website, and I chose to try out the Hydrating shampoo. My hair has been a rocky road. I use to curl and straighten it a lot, which made it dry in some parts and oily in other parts. Some of my hair was healthy, but a lot of my hair was brittle and dried out. I started using coconut oil on my hair, which helped it grow and made it a lot healthier. I also got a wooden brush, and I saw an improvement from that as well. I honestly tried all kinds of things, but the one thing that I couldn’t figure out was shampoo and conditioner. I considered the No Poo method, but like I said, my hair tends to be oily in the summer and dry in the winter, so I wasn’t sure if that would work. I read tons of reviews and found lots of shampoos and conditioners that I wanted to try. I settled on Mane ‘N Tail, and that was the last straw. My hair was so brittle and dry after using it, and it got worse the more I used it. Eventually I realized it was because of the sulfates in the shampoo. Sulfates literally strip your hair of its natural oils. I did even more research and I found Calia! I fell in love right away and wanted to try some. I emailed Calia and here I am! It smells HEAVENLY. While I was washing my hair with it, all that I could think about was the smell. It smells like roses and clean air, and who doesn’t want their hair to smell like that? My hair felt really clean while I was washing it, and once it dried, I was shocked at how silky and smooth it felt. 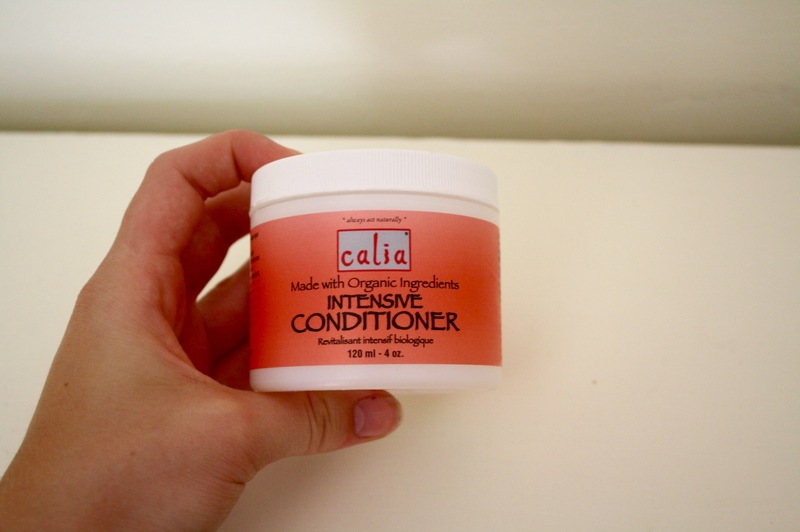 After a few more uses, Calia has removed the buildup from other products on my hair. My hair is so silky and it’s not dry anymore! This product really lives up to its name, my hair is so hydrated now. It is literally a miracle shampoo (and conditioner)! Onto the other hair-related product that I received: Intensive Conditioner! This stuff is my life. I love it! The s & c really helped with my brittle hair, but this intensive conditioner gave my hair more moisture and made the brittle hair go away for good. 🙂 In between days that I wash my hair, I use this to keep it healthy. This is like a hair mask–you put it in your wet hair for about two minutes, and then rinse it out. The intensive conditioner does not have much of a strong scent like the shampoo and conditioner, but I was fine with that! It was smooth and my hair loved it! 🙂 I was shocked at how my hair felt once I rinsed it out, and my hair dried. My hair was like silk, and it was so clean and soft! I’m going to order more of it as soon as I run out. Lastly for the cleanser! I’ve only gotten to use this a few times, but I really like it. It has a cool feel and lathers nicely! A lot of cleansers that I’ve used have stung, because I have very sensitive blemish-prone skin. In the evenings I use cleansers that have lots of chemicals in them, and while those have helped clear up my face, they have made my face really fragile and sensitive. My verdict? 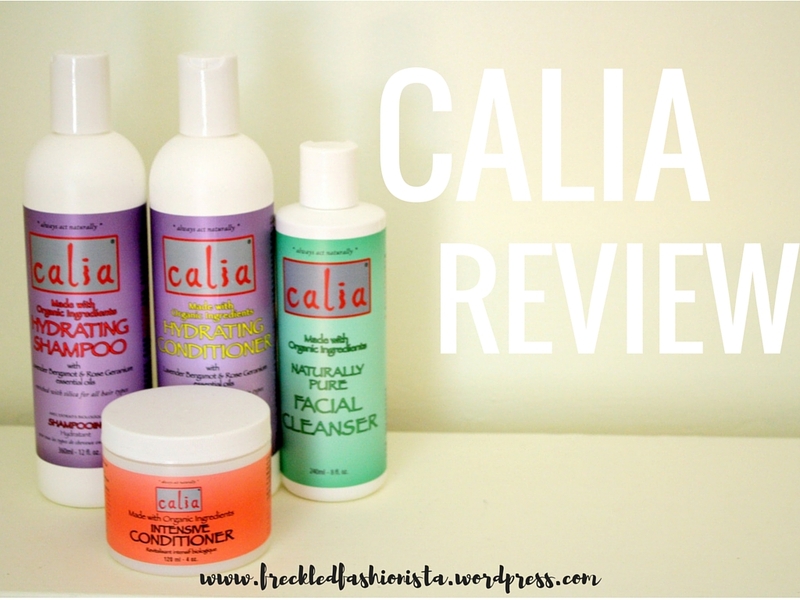 I’m obsessed with Calia and I will never, ever, ever switch to different hair and skin care products! Calia has high standards for their products, so you can expect quality products. They have high quality, organic ingredients! 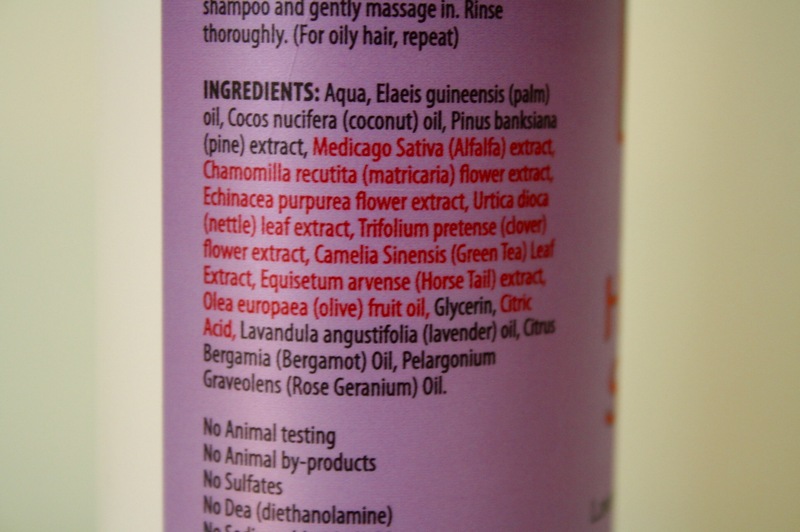 Their products do NOT have sulfates, which is a huge plus! They have many different products, like toner, cleanser, hairspray, shampoo and conditioner, essential oils, lotion, and more! You will actually see results from using their products! It ships from Canada, so you do have to pay for shipping. It is worth it, though! So, what are you waiting for? 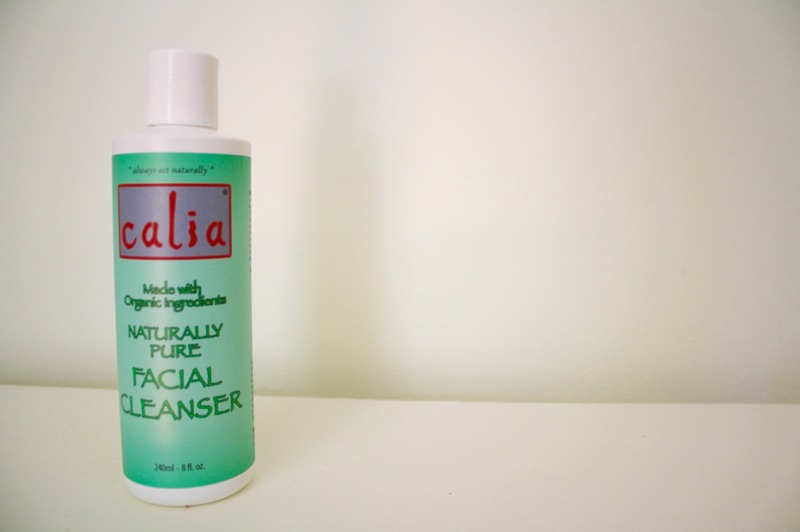 Head to Calia’s website and take a look at their products! If you have tried their products let me know how they worked for you! Thank you, Calia! Note: Calia sponsored this post. 100% of my opinions in this post are my own!